Travel away from the city lights and spend the day at a cozy campsite in rural Karnataka. Here, you can go flying through the air on the 350-feet long zip-line or try your hand at one of the several activities in the rope course arena like Burma Bridge. 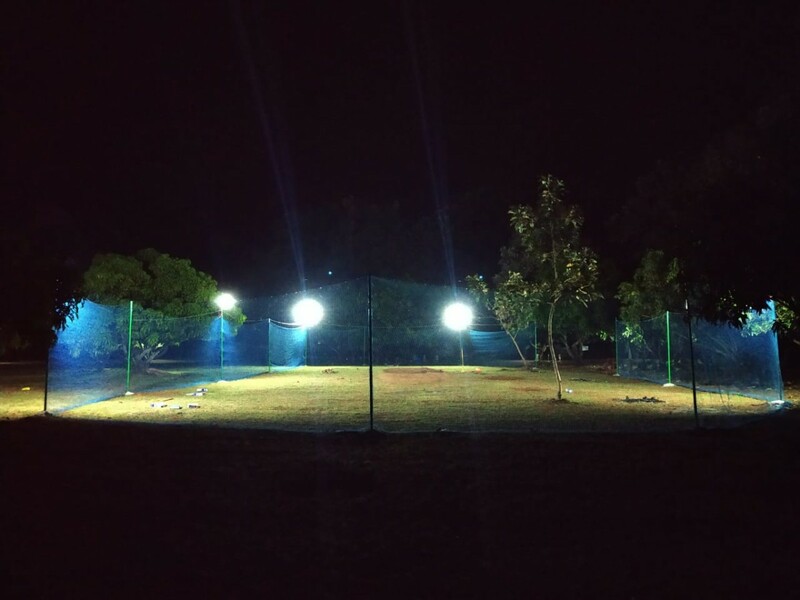 You can also play a game of badminton or net cricket with your group and enjoy a leisurely evening. 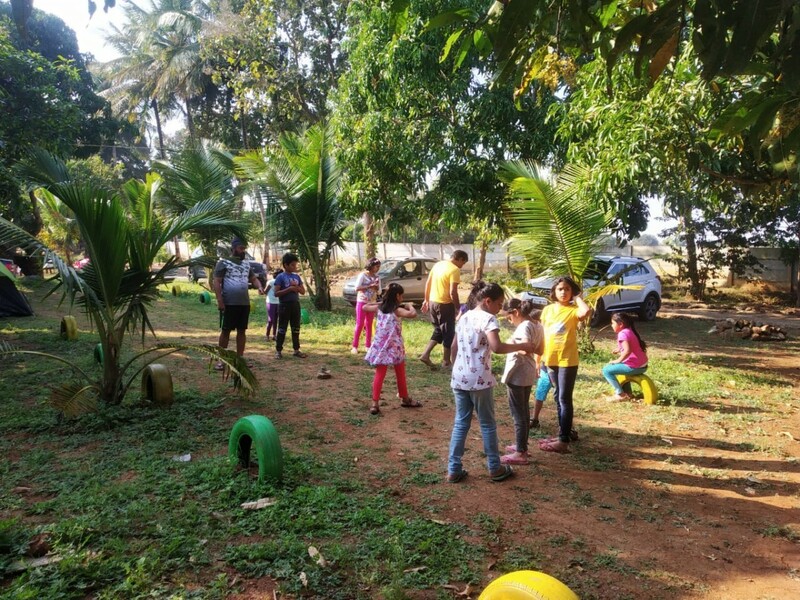 Located to the scenic backdrop of sprawling fields and farmlands of countryside Karnataka, this campsite plays the perfect host for groups of families and corporate. 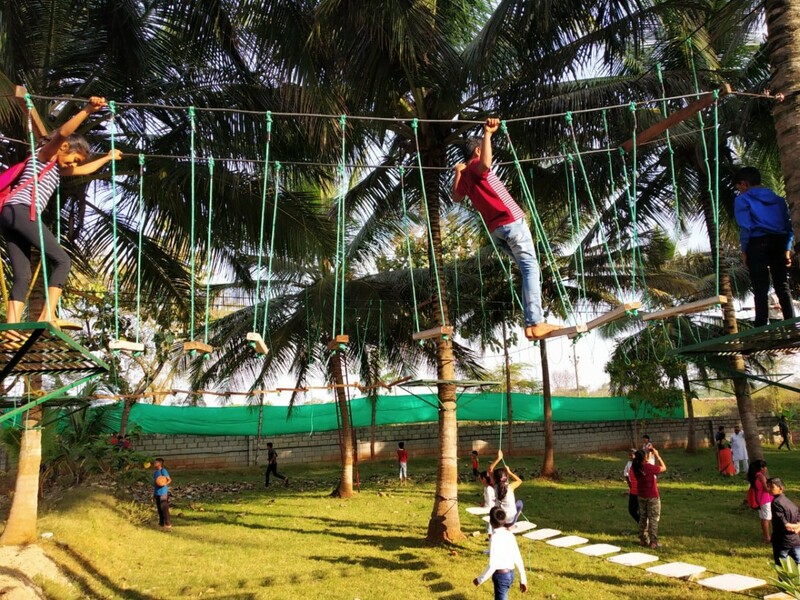 A great excuse to spend a relaxing holiday and reconnect with your fellow campers, this trip is ideal for large groups looking for an easy, day adventure near Mysore. 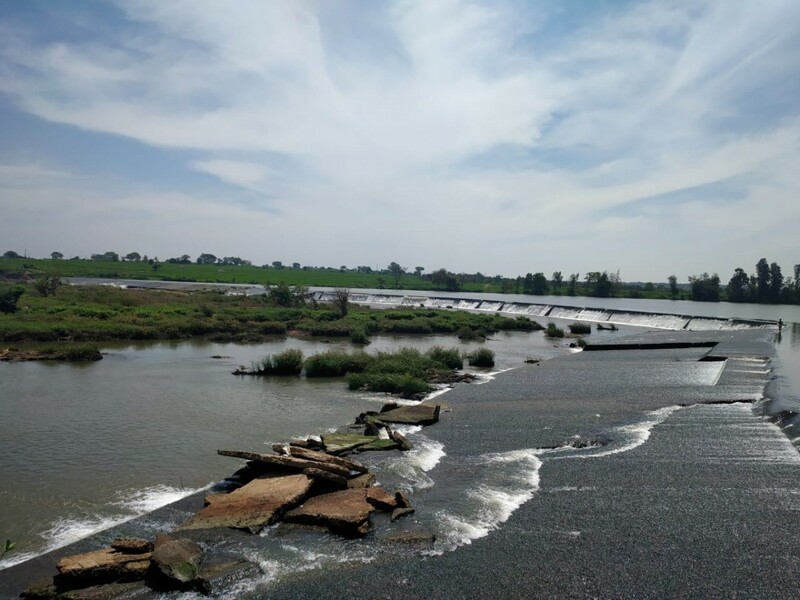 The campsite for your day adventure trip is located just a short distance away from the Kabini River, near the Hullahalli Dam. 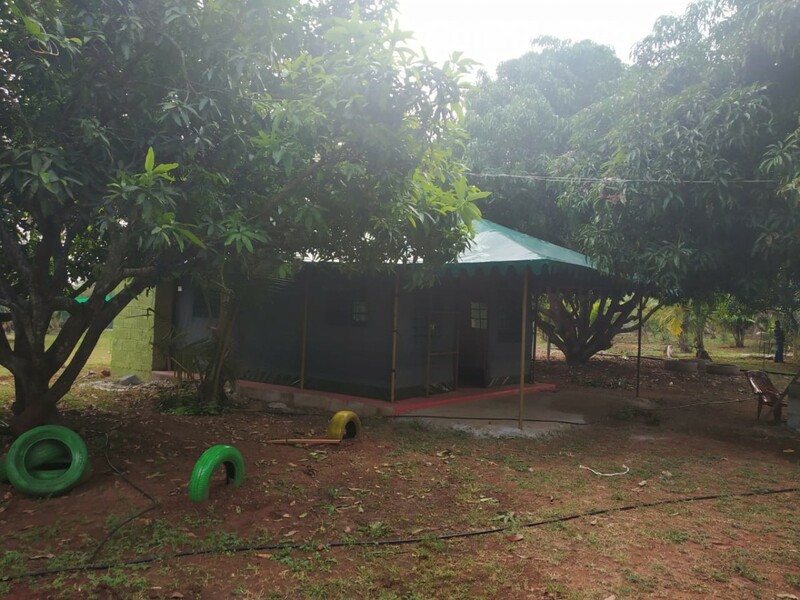 Accessible via a 50-min drive from Mysore city center, the campsite takes you away from the urban noise and into nature-rich surroundings in a short time. With large open spaces decorated by monsoon greenery, this adventure trip is a great option for a day's escape or spontaneous getaway. You'll have access to common washrooms at the campsite, with delicious meals served at the common dining area. • Spend the day at a scenic campsite by the Kabini River. This day adventure trip near Mysore is a non-strenuous activity. If you have any pre-existing medical condition, such as respiratory or cardiac problems, bone or spinal injury, please consult your personal physician before booking this trip. For cancellations made more than 48 hours before scheduled date of your day adventure trip near Mysore: 75% refund. For cancellations made 24-48 hours before scheduled date of your day adventure trip near Mysore: 50% refund. For cancellations made less than 24 hours before scheduled date of your day adventure trip near Mysore: no refund. Please arrange your schedule to arrive at the campsite by 8:00 hrs and depart from the campsite by 18:00 hrs. Travellers are required to carry a government-issued photo ID card to be produced at the time of arrival. No pick-up for this day adventure trip near Mysore. No drop-off for this day adventure trip near Mysore. Go on a day adventure trip near Mysore! Arrive at the campsite by 8:00 hrs. Here, you can check-in and freshen up. 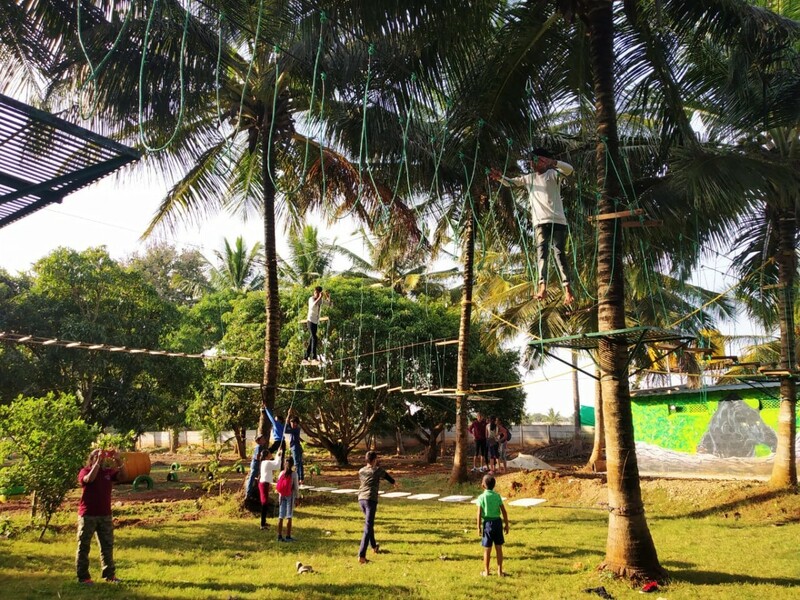 After a delicious breakfast at the common dining area, you can go flying through the air on the zip-line or try your hand at one of the several activities in the rope course arena. You can also play a game of badminton or net cricket with your group and enjoy a leisurely afternoon. Visit the banks of the Kabini River and reconnect with your fellow campers. You can depart the campsite by 18:00 hrs. Your trip ends here. Arrive at the campsite by 8:00 hrs. Today's meal package includes breakfast, lunch and evening tea. You'll depart from the campsite by 18:00 hrs. 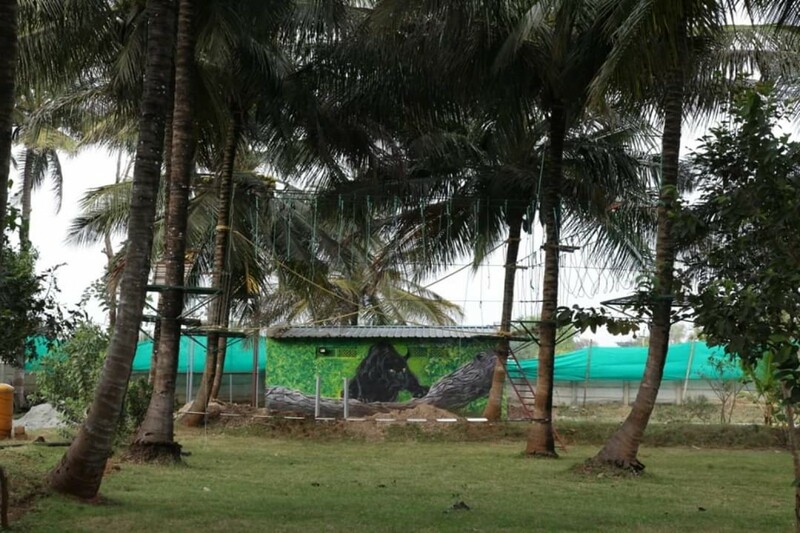 The campsite, accessible via road, is located 30-km/50-min drive away from the Mysore railway station. You can board a train to the railway station and hire a private cab to reach the campsite.